evil in the eyes of the Lord, arousing his anger. 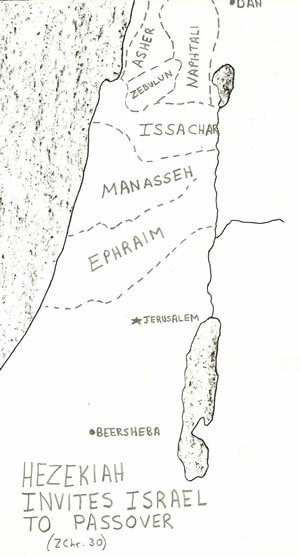 Manasseh followed Hezekiah as king in 697 BC. Manasseh would rule for fifty-five years and may have led the most evil life of any king of Judah, but in the end he did repent. 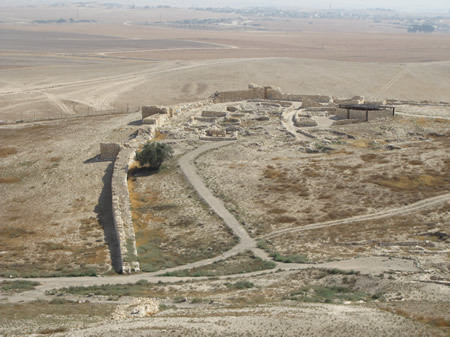 Manasseh rebuilt the high places his father Hezekiah had destroyed. Manasseh set up Baal altars and Asherah poles and even placed them in the temple in Jerusalem. He also offered his own son as a sacrifice in the fire. The prophets, including Isaiah, told him that he had gone beyond the wickedness of the Amorites who were driven out of the land before Israel. Tradition tells us that it was Manasseh who pursued Isaiah from Jerusalem towards Bethlehem (about 680 BC) and had him sawn in half with a wooden saw once he was captured. Ashurbanipal, king of Assyria, faced a revolt by his brother Shamash-Shum-Ukin in Babylon in 652 BC. After a three year siege of Babylon Ashurbanipal defeated his brother. It was at this time Manasseh was focibly taken out of Jerusalem by the Assyrians with a hook in his nose and in bronze shackles. Manasseh was taken as a prisoner to Babylon by Ashurbanipl. It appears Manasseh had either sided with Shamah-Shum-Ukin or was suspected of having supported the rebellion. In 303 AD Roman emperor Diocletian issued an edict that called for the destruction of the Christian Scriptures by fire. Those Christians who refused to hand over their manuscripts would lose their civil rights and their liberty including any high governmental positions. Eusebiuis, the church historian of that time, records that by 328 AD a new emperor named Constantine issued another edict ordering that fifty copies of the Scriptures (or, Bibles in the form a codex) be made at government expense. It is possible that Codex Vaticanus is one of these Bibles Constantine had made for the churches in Constantinople. but never for the burning of a sacrifice on the altar. will brim over with new wine."